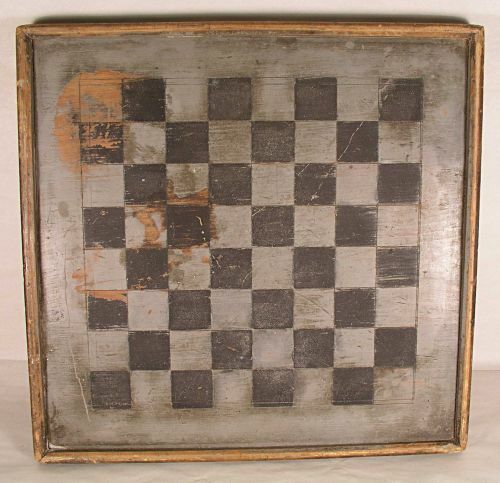 Wooden American gameboard painted a Blue/Gray color with Black squares and molded edge. 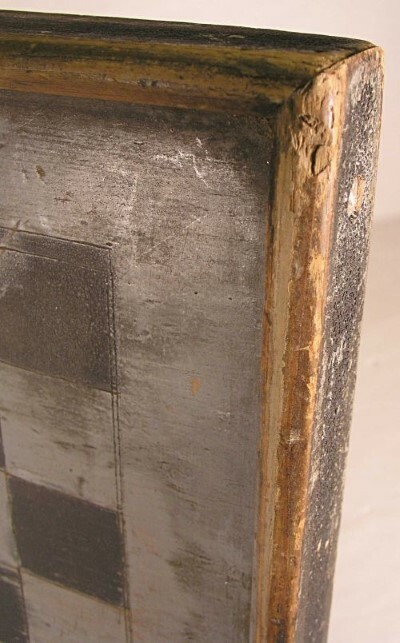 Nice old dry surface with expected wear. 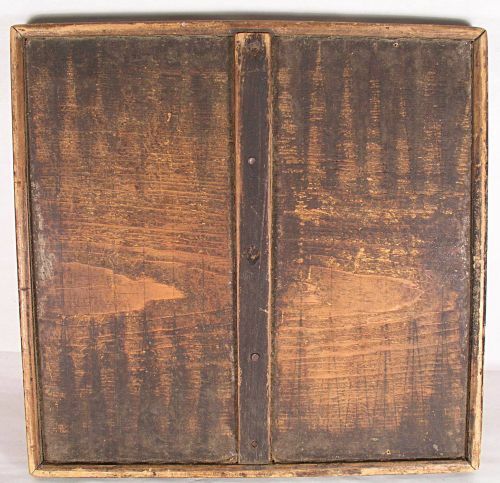 Dimensions: Measures 14 1/4" X 14 3/4"